BOTHCAGALOOP.NET is a web site hosted by Al Olmstead and Clark W. Nicholls, with guest appearances from Bob Holcomb and Pete Watson. Clark Nicholls is a grid and pit marshal and is still active. 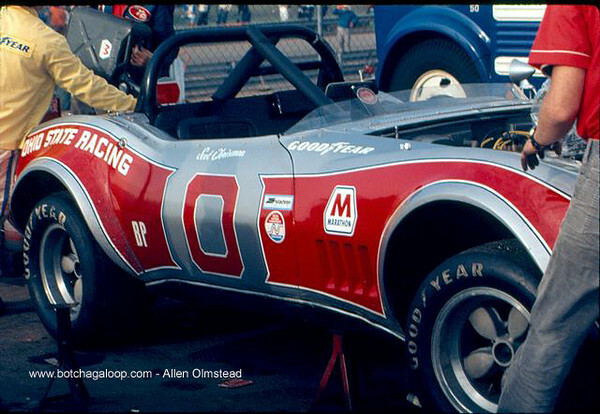 Al Olmstead also worked the tracks from 1972 to 2001. Many photos are from the Northeast region, featuring tracks in New England, the Mohawk Hudson and New York locales. Note: Many of the embedded photos credits are incorrectly stated as botchagaloop.com. the correct reference is botchagaloop.net. This error will be corrected over time but due to the extensive labor required to make such changes to embedded information, this will not be done immediately. # 0 - 1973 SCCA BP - name uncertain...Sal ?? ?